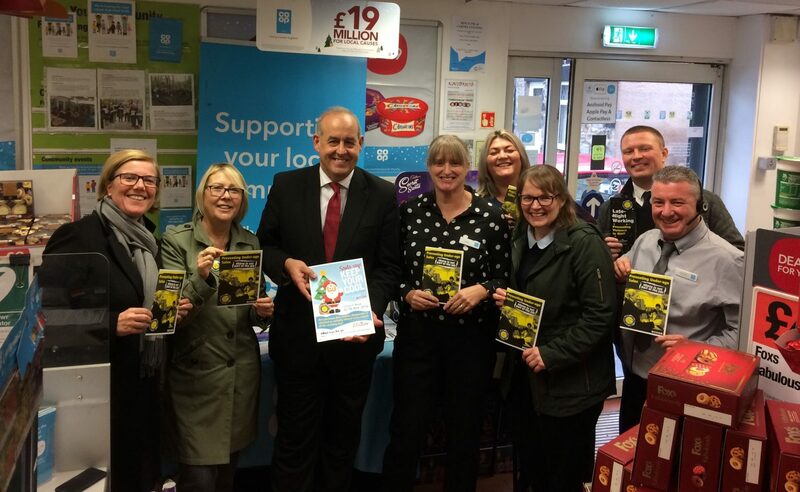 I have demonstrated my support for Respect for Shopworkers Week when I visited the Co-op store in Leeswood on 16 November. During my visit to the store on Queen Street, I discussed local community safety issues with store staff and heard about the Co-op’s operational programme to help tackle crime. As part of its commitment to colleague safety and community well-being, the Co-op is backing the shopworkers’ union USDAW’s campaign and the Respect for Shopworkers Week. I am also trying to change the law through amending the Offensive Weapons Bill. His New Clause 1 would see protections in place for shop workers who are attacked whilst checking the age of someone trying to purchase age restricted items listed within the Offensive Weapons Bill. The Bill is currently at its Report Stage in the House of Commons. Shop workers face an unprecedented level of threat from violent incidents as each day across the UK six are threatened with a knife and two with a gun. Recent figures show that across the country violent, weaponised crimes is on the rise with a 16% increase in incidents involving knives. My new clause would bring into being new protections for shop workers from those who threaten them with violence. The UK Government needs to accept this to ensure workers are free from fear in the workplace. Products can be replaced and stores repaired, but violent crime in shops often has a shocking, and lasting, impact on those working at the frontline. That is why I am backing this important initiative as we must all do everything we can to help reduce these attacks. Paul Gerrard, Director of Campaigns at the Co-op, said: “Retail crime is often considered to be victimless as people think it only involves a faceless business losing stock or money. However, it is not the shop that is left bruised, bleeding or traumatised. This type of crime has nothing to do with profit and everything to do with people.